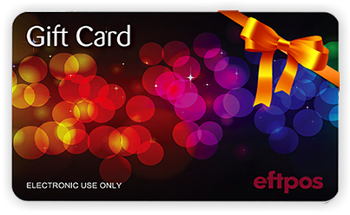 With EFTPOS Gift Cards from Mackas Griffith Newsagency you can load up to $1000 per card and the card can then be used anywhere that EFTPOS is accepted. Being part of our CONNECT system, it's quick and easy to organise your EFTPOS Gift Cards. Simply call in to Mackas Griffith Newsagency, ask our friendly staff and you'll have your gift cards ready in minutes.